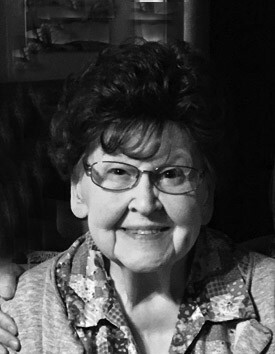 Dolores Smith of Owatonna died February 6, 2019 at Prairie Manor Care Center. A private family service will take place at a later date. Interment will be at Owatonna Memorial Garden. Dolores was born October 3, 1927 in Elgin, ILL the daughter of Alois and Mary (Litz) Metz. Dolores attended school in Elgin. The family relocated to Minnesota when Dolores was a teenager. Dolores was united in marriage to Robert W. Smith on March 27, 1948 in Rochester. The couple made their home in Owatonna. Dolores was a stay at home mom until her children were school age. She then went to work for Truth Hardware in Owatonna for the next 20 years, retiring in 1988. When the children were young they enjoyed fishing trips in Wisconsin and northern Minnesota with their family. In retirement she enjoyed traveling to Colorado, Texas and Washington to visit family. Her life interests include baking, bowling, spending time with her grandchildren, crocheting, reading, jigsaw puzzles, and day trips to local casinos. Dolores is survived by three daughters Sally Wacek of Glenwood Springs, CO. Sandy (Glen) Hedberg of Ellendale, MN. Penny (Peter) Stenzel of Owatonna. Six Grandchildren Jenny Wacek, Tony (Deb) Chadwick, Todd Chadwick, Jessica (Rick) Gagnier, Alicia Stenzel, Danielle Stenzel. 11 Great-Grandchildren Twins Olivia and Dakoda Wacek, Branden Chadwick, Yale Thissen, Mariah, Emily Chadwick, Reese Abraham, Javon, Ayana Wheeler, Alexander and Makayla Engbard, Isaiah Stenzel. Preceded in death by her husband, three sisters and one brother.